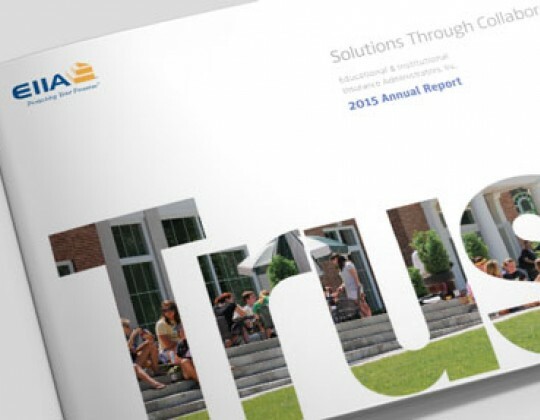 EIIA is a not-for-profit organization that provides the broadest, most extensive insurance and risk management services available to its member institutions: small, private, liberal arts colleges and universities. 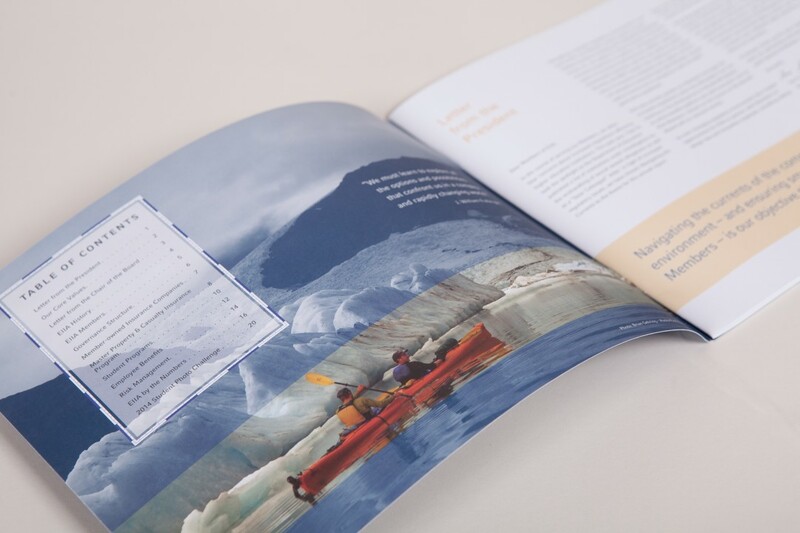 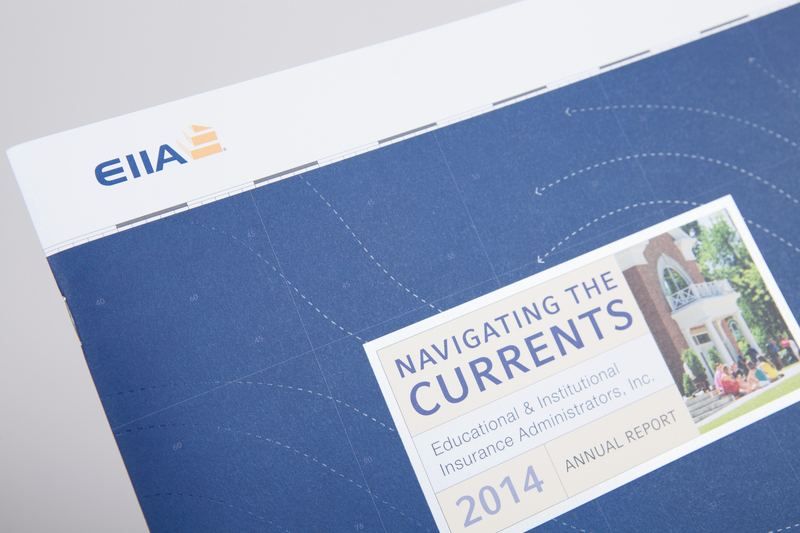 The theme for the 2014 Annual Report–"Navigating the Currents"–underscores the guidance EIIA provides to its member institutions who serve as beacons, directing students through often challenging waters with smooth passage. 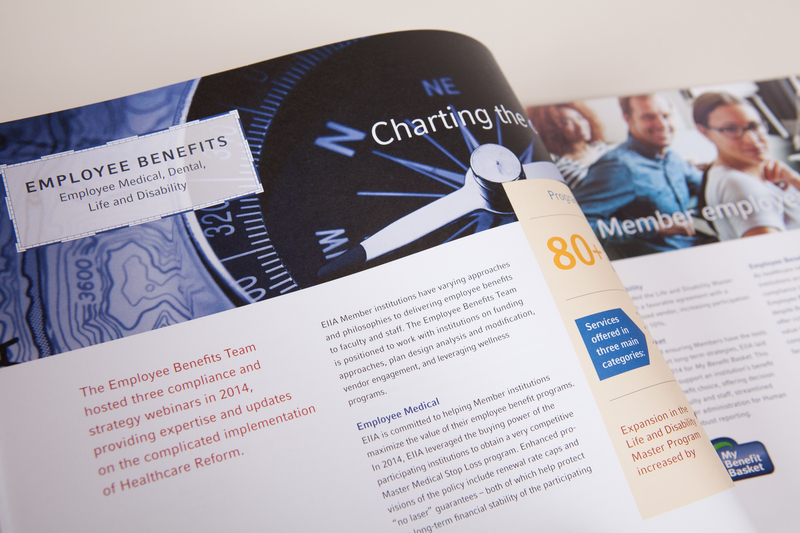 The chart book design and navigation-themed images used throughout the report reinforce that EIIA is an essential partner with its members in providing excellent value and security through its range of sophisticated, innovative insurance and risk management services.